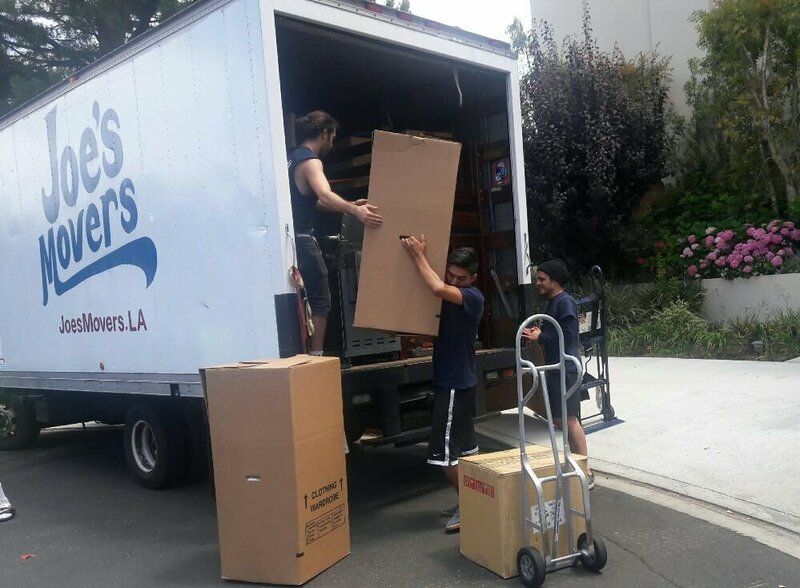 We are Joe's Movers, the easy and convenient way to help you move in the city of angels. We help you minimize stress, maximize delight, and in fact deliver peace of mind with every moving job done well. Established in 2012. Customer service excellence, no matter what and come what may, is really what we're all about. So now more than ever, please try us for your next move. We've got your back and we're always happy to help. I was switching units to the top floor and had never needed a move within the same building before. Joe's Movers provided me with the best quote after receiving estimates from other local moving businesses. Not only that, they were quick as lightning and super friendly with their responses! Some of the other companies took forever to reply and Jarrod and Gianluca took care of me right away.I thought this job would take about 3 hours but they finished it well before that and we're able to help us out carry the little boxes upstairs. Leroy and Trevor were so nice they even hung my clothes up in my closet! We had planned to push those boxes up ourselves but didn't end up lifting a finger, which left us a lot of energy to unpack everything within a couple of hours! I've never had such a pleasant and professional experience with movers in my entire life. Hope to work with these very nice guys again and you bet I will be recommending them to anyone I know that needs muscles during their move! 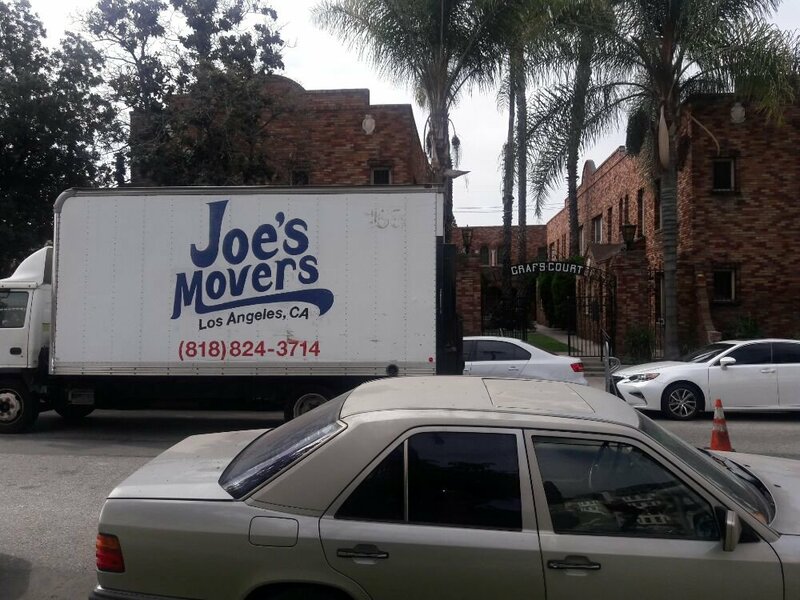 I just used Joe's movers last Saturday to move 1.5 bedrooms worth of furniture from Canoga Park to Los Feliz. They sent me a written estimate based a series of meaningful questions and when the job was done their estimated time for the job and time of arrival and price were spot on. Zero surprises and they didn't pull that double drive time charge the other movers tell you they have to do. When you call them their answering service always knows who you are and the details of your move and you get a prompt call or email back. Professional, Considerate and Reliable. They erased all the stress and fears of moving. Anyone who asks me for a recommendation for a mover will always be told Joe's Movers. 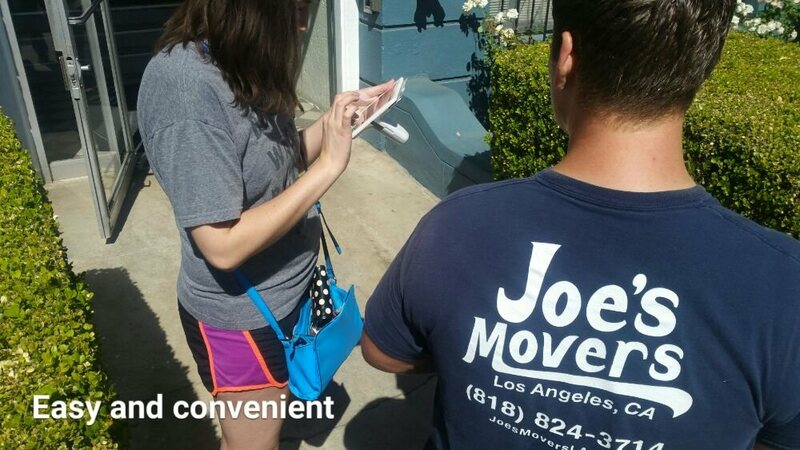 I had used Joe's movers many years ago and the service had been excellent. This time however, I cannot say the same. We used them for a three person move on June 28. They were quick and efficient but the two guys other than the foreman just seemed like they didn't want to do anything more than the bare minimum. I especially did not care for snide remarks like when the foreman asked them to carry the washer upstairs instead dragging it on a dolly, one of them said "yeah, rather damage our backs instead of the floor". When we asked him to switch the orientation of the couches, he made it abundantly clear that customer service was probably the last thing on his mind. "Hey guys... they want to move the couches again. We love it when we are asked to re-do stuff" was the snarky response. If you are charging by the hour, why does it matter if stuff has to be re-done? And today, I noticed that they lost about half the screws from the guest bed and the frame has started falling apart. Its a good thing that I noticed it before our guests arrive this weekend. Who would be responsible if someone got hurt as a result of their shoddy assembly? One of our shoe cabinets also broke during the move, but some amount damage is expected and I let that slide. I think next time I will pay a little bit more and get someone more professional. 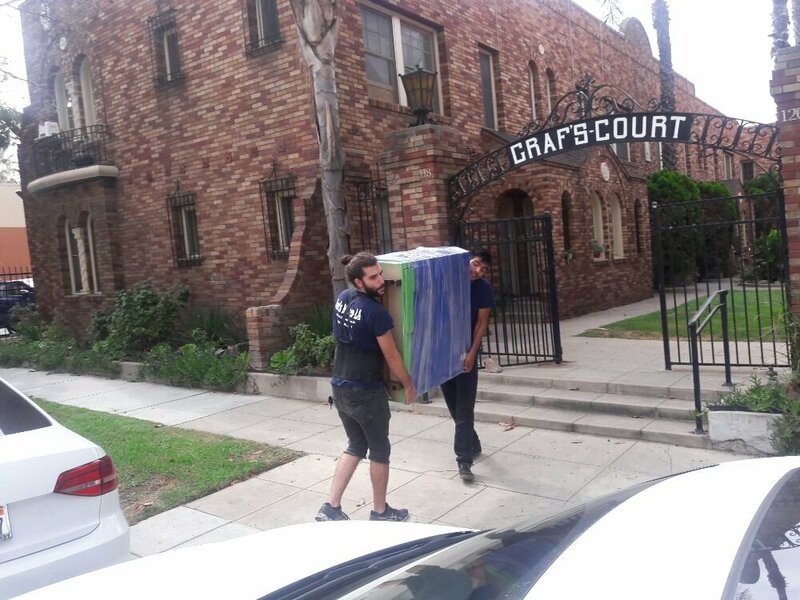 I have moved six times in the last 9 years in the LA area and this was the worst moving experience I have had. Used Joe's Movers for the 3rd time!!! Kind, professional and awesome. Hard working and worked fast. Get them lunch. They deserve it. And they are going to say no, politely of course. But free them. They rule! Honestly. Worked quickly. Worked efficiently. Checked everything and asked if they should move anything else around. How sweet. Thanks Joe's Movers. AGAIN! 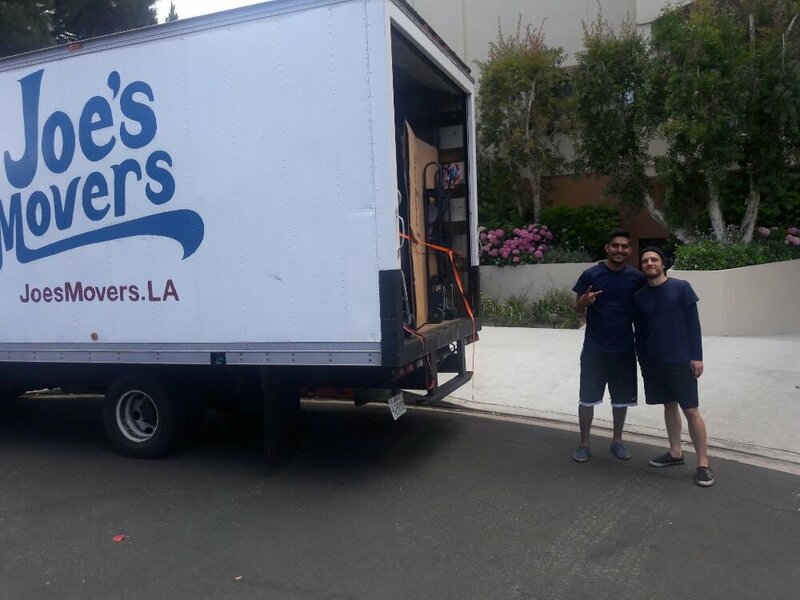 Joe's movers did a fantastic job! They arrived on-time and with a truck that handled all of our belongings in one trip. They were efficient, friendly, and careful with our furniture. I would highly recommend Joe's Movers and will definitely use them the next time we move!